My adult students are unusual. I know I'm blessed. Last Saturday afternoon seven of them performed at the Maybeck Recital Hall in Berkeley: an ideal site for a small recital. The room is constructed entirely of redwood which makes it both gorgeous to look at and acoustically perfect. 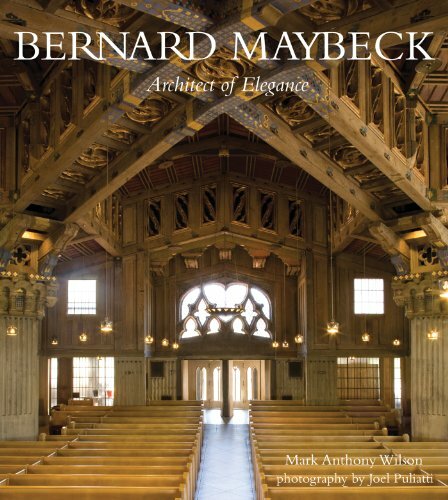 You can peek at a book about this famous architect here. Janet warming up before the recital. Entryway to the recital hall. Front door of the hall with shadows. As my young students have grown into adults, I've included them in my adult studio classes. Sruti, the first performer on the recital, began coming to my adult classes when she was only fourteen-years-old. She credits coming to these classes and seeing adults who have made music a part of lives with her persisting with music in her life. Now an adult, she still takes lessons and participates in my studio. West Window of the Maybeck Recital Hall. This year, Leo, age fourteen, started to come to my adult classes. He holds his own with the grown-ups. Globe on the stair step shelves. Each of these people has an interesting story - but they share not only a love of music, but a love of making music themselves. Music is powerful. When you're teaching a new beginner you are giving her tools for a lifetime of music making. Give her your very best. After the recital some of us treated ourselves to delicious Indian Food at Ajanta Restaurant. We even remembered to take a few pictures! With my dear friend and wonderful colleague, Kara Schleunes. With Sruti's family and Shanti. Even the clouds on the drive home to San Francisco from Berkeley were stunning.